Trufili is an Wholesale only Company. You must have an Approved account to purchase from us. All prices are hidden until you login with a valid wholesale account. If you do not have an account with us and are a valid Jeweler or Jewelry Retailer, please fill our our new account request form by clicking on the register link at the top of this page. 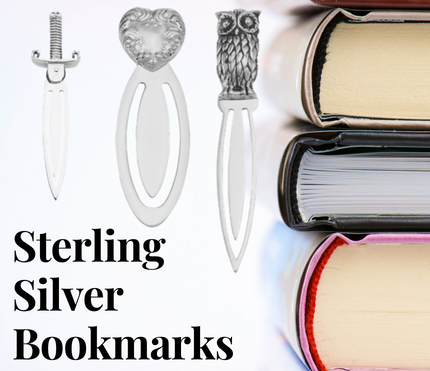 Sterling Silver Heart Shaped Bookmark This beautiful Sterling Silver book mark has a high polish finish and is perfect for engraving on both sides. Th..
14kt Yellow Gold Art Deco Style Filigree Ring w/ 2 small accent diamonds and features a center mounted 1/4 carat diamond. This lovely ring is handcraf.. This beautiful 14kt White Gold Diamond Ring features a 66 point center mounted diamond and is flanked by two small blue sapphires. Crafted in classic ..
14kt White Gold Art Deco Style Filigree Ring features a beautiful center mounted oval Tanzanite gemstone. This lovely ring is handcrafted and finished.. This lovely 14kt Yellow Gold Art Deco Style ring is ready for a 6mm center mounted gemstone it features 4 small accent diamonds and is handcrafted and.. This lovely 14kt White Gold Art Deco Style ring is ready for a 6mm center mounted gemstone it features 4 small accent diamonds and is handcrafted and ..
Art Deco Style 14kt White Gold Filigree Ring with 3 Diamonds / 2 Genuine green emerald gemstones. Handcrafted in the Art Deco style, this filigree rin..
14kt Yellow Gold Filigree Ring has 4 Genuine green emerald gemstones and a center mounted diamond. Handcrafted in the Art Deco style, this filigree ri..
14kt White Gold Filigree Ring has 4 Genuine red ruby gemstones and a center mounted diamond. Handcrafted in the Art Deco style, this filigree ring fea..
14kt White Gold Art Deco Style Filigree Semi Mount Ring that will hold 2 - 5mm Round Gemstones with 6 Diamonds, 3 on each side and 2 genuine Triangle ..
14kt White Gold Filigree Ring has 4 Genuine green emerald gemstones and a center mounted diamond. 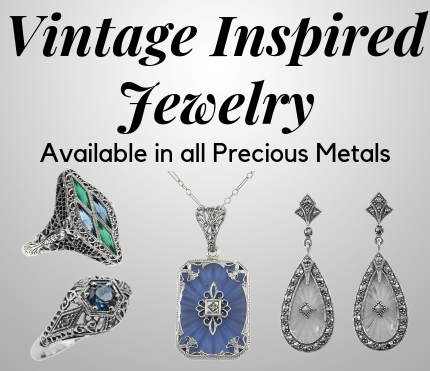 Handcrafted in the Art Deco style, this filigree rin.. This beautiful 14kt Yellow Gold Ring is ready for a 5.5mm center mounted gemstone and is flanked by two small genuine emerald gemstones. Crafted in cl..
14kt White Gold Diamond and Sapphire Filigree Ring - Art Deco Style - This beautiful filigree ring features three 2mm Diamonds vertically stacked and ..
2 Compartment Handmade Italian Oval Tubular Shapes Sterling Silver Pillbox is handmade by the finest Silversmiths in Italy. This is one of the finest .. 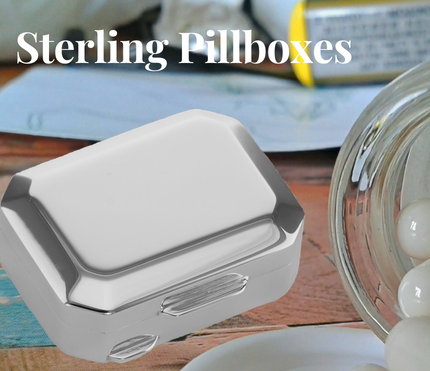 Pill Box - Sterling silver porcelain top King of Spades pillbox weighs approx. 25.4 grams. It measures approx. 1 1/8 inches D x 1 1/2 inches W x 1/2 i..
Beautiful Art Deco Style Sterling Silver Filigree White Topaz with Genuine Red Ruby accents. This beautiful White Topaz and Ruby 1920's style ring fea..
Sterling Silver Art Deco Style Filigree Semi Mount Ring that will hold 2 - 5mm Round Gemstones with 6 White Topaz Accents, 3 on each side and 2 genuin..
Handcrafted in the Art Deco style, this filigree ring features space for a 7mm Round Gemstone flanked by coordinating triangle shape genuine blue sapp..
Art Deco Style Sterling Silver Filigree Ring with Genuine Sapphire accents - This beautiful ring is ready for 2 center mounted 5mm gemstones flanked b..
Handcrafted Sterling Silver Filigree ring in the classic Art Deco style. This White Topaz filigree ring features a center mounted 7mm White Topaz gems..
Handcrafted in the Art Deco style, this filigree ring features space for a large 7mm round gemstone, flanked by coordinating 4 baguette cut genu..
Handcrafted in the Art Deco style, this filigree ring features a large 7mm White Topaz flanked by coordinating 4 baguette cut genuine blue sapph..
Order a printed version of our Catalog - $6.00 shipping charge for catalog will be refunded with first order..
14kt Yellow Gold Art Deco Style Filigree Ring w/ 2 small accent diamonds featuring a beautiful White Sapphire Center. This lovely ring is handcrafted .. 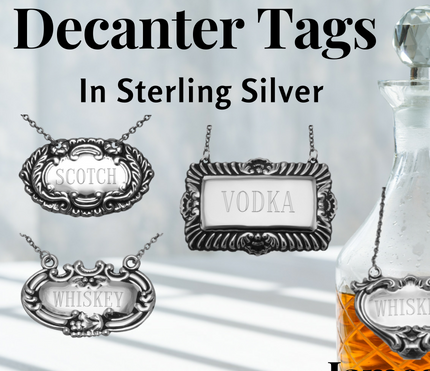 This Beautiful Sterling Silver Victorian Style Filigree Semi Mount Necklace is ready to hold the pendant of your choice. It comes with an 16 inch han.. This beautiful Victorian Style Filigree ring features a prong set approximately 1.15 carat genuine London Blue Topaz gemstone it is handcrafted and fi..
Beautiful Blue Topaz filigree ring features a single large oval cut genuine Blue Topaz gemstone, it is handcrafted and finished in intricate sterling ..
Beautiful Blue Topaz filigree ring features a single large oval cut genuine Amethyst gemstone, it is handcrafted and finished in intricate sterling si.. This Victorian Style filigree ring is handcrafted and finished in intricate 14kt Yellow Gold detail. The cubic zirconia gem is flanked by two small ge.. This Victorian Style filigree ring is handcrafted and finished in intricate 14kt White Gold detail. The cubic zirconia gem is flanked by two small gen.. This genuine blue sapphire filigree ring is hand crafted and finished in intricate 14kt White Gold detail. It features a center mounted brilliant cut .. This Victorian Style Black Onyx filigree pendant is handcrafted in fine14kt White Gold. 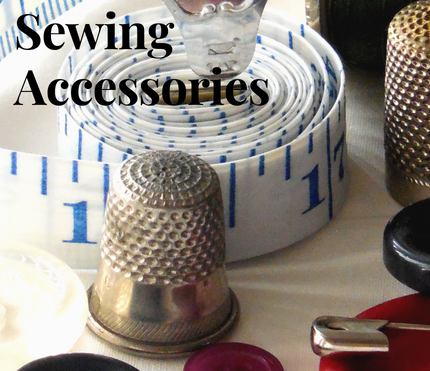 It has a classic Victorian Style Filigree pattern and a small .. This is a lovely Victorian Style 14kt Yellow Gold Emerald Filigree Link Bracelet. It features 3 round brilliant cut green Emeralds gemstones in a beau..
Beautiful Blue Topaz filigree ring features a single large oval cut approximately 8.9 carat genuine Blue Topaz gemstone, it is handcrafted and finishe.. This is a lovely Victorian Style 14kt White Gold Ruby and Diamond Filigree Link Bracelet. Filigree bracelets are timeless in style and can be en.. 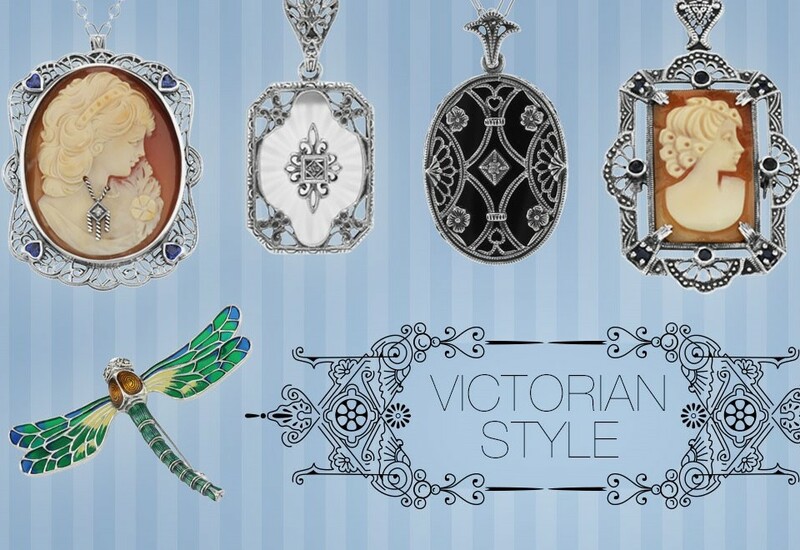 This Victorian Style Frosted Crystal filigree pendant is handcrafted with intricate sterling silver detail. A sparkling diamond in the center of the p.. This beautiful art deco style filigree ring features 2 approximately 3/4 carat trillion cut Genuine Citrine gemstones, it is hand crafted and finished.. This beautiful Antique Style Amethyst filigree ring has 4 genuine Amethyst gemstones totaling approximately 1 1/2 carats and a small single cut diamon.. This unusual Art Deco Style Red Garnet filigree ring is hand crafted and finished in intricate 14kt White Gold detail. It features 2 Elongated Hexagon..
Silver Pillbox With 2 Cats Printed On Porcelain Top. This sterling silver round pillbox features 2 adorable cats on the porcelain top. The bottom of t..
Sterling Silver Tape Measure - This engravable sterling silver tape measure has a highly polished smooth finish both on the front and the back. This s.. This beautiful 14kt Rose Gold Ring is ready for a 5.5mm center mounted gemstone and is flanked by two small sapphires. Crafted in classic Art Deco Sty..
14kt Yellow Gold Art Deco Style Filigree Ring is ready for a center mounted 4.5 mm gemstone. This lovely ring is handcrafted and finished in intricate..
14kt Rose Gold Art Deco Style Filigree Ring w/ 2 small accent diamonds is ready for a center mounted 4mm gemstone. This lovely ring is handcrafted and..
14kt RoseGold Art Deco Style Filigree Ring is ready for a center mounted 4.5 mm gemstone. 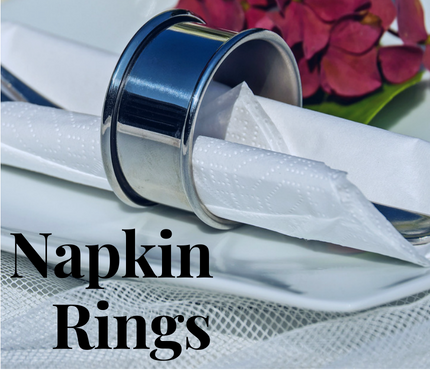 This lovely ring is handcrafted and finished in intricate de.. This lovely 14kt Rose Gold Art Deco Style ring is ready for a 5mm center mounted gemstone it features 4 small accent diamonds and is handcrafted and f.. This classic Victorian style semi-mount filigree ring features space for a center mounted 8mm round gemstone and is handcrafted and finished in intric.. This classic Victorian style semi-mount filigree ring features space for a center mounted 7mm round gemstone and is handcrafted and finished in intric.. This classic Victorian style semi-mount filigree ring features space for a center mounted 6mm round gemstone and is handcrafted and finished in intric..
14kt White Gold Ruby, Sapphire and Diamond Filigree Ring - Art Deco Style - This filigree ring features a nice genuine Ruby Gemstone 6mm size, center ..
Victorian Style Accordion Sphere Photo Locket. This is a Beautiful Victorian Style Ball Locket Pendant that opens accordian style to hold six small pi..
Handcrafted in the Art Deco style, this filigree ring features a nice rectangle blue Lapis lazuli flanked by coordinating marquise cut genuine blue sa.. This is a lovely Multi-Color Enamel Dragonfly Pin with Marcasite Eyes. The Enameled wings are translucent, done in a classic french style of Plique-à-.. This unique filigree solitaire ring is ready for a center mounted 6mm gemstone and is handcrafted and finished in intricate sterling silver detail. Fi..
Sterling Silver Sunray Crystal Filigree Pendant with Marcasite has a hanging length of approx. 1 5/8 inches and is 5/8 inches W. This crystal filigree.. These Sterling Silver Black Onyx Filigree Earrings are handcrafted and feature one sparkling Diamond each. A matching pendant, bracelet, and ring are .. This Sterling Silver 20 inch Deco Link Chain Necklace with lobster claw clasp measures approx. 1.7mm in width. This is the same style chain that we us..
18 In Sterling Silver Deco Link Chain. This sterling silver 18 inch deco link chain necklace with spring ring clasp measures approx. 1.7mm in width. T..
Sterling Silver Oval Filigree Locket with Celtic Knot Design - The front of locket is an openwork Celtic Knot Design and the back is highly polished a..
Sterling Silver Black Onyx and Red Ruby Filigree Ring - Art Deco Style - This filigree ring features a beautiful center mounted black onyx gemstone fl..
Sterling Silver Semi Mount Filigree Ring with space for a center mounted 4mm round gemstone. Comes with 2 small diamonds mounted on each side for acce..
Sterling Silver Filigree Camphor Glass Starburst Crystal Bracelet with synthetic blue sapphire and cz stones. Please see our complete selection of fin.. This beautiful onyx and Lapis filigree flip ring is hand made, there is black onyx on one side with a genuine diamond in the center and stunning blue ..
Sterling Silver Sunray Crystal Filigree Earrings with Marcasite have a hanging length of approx. 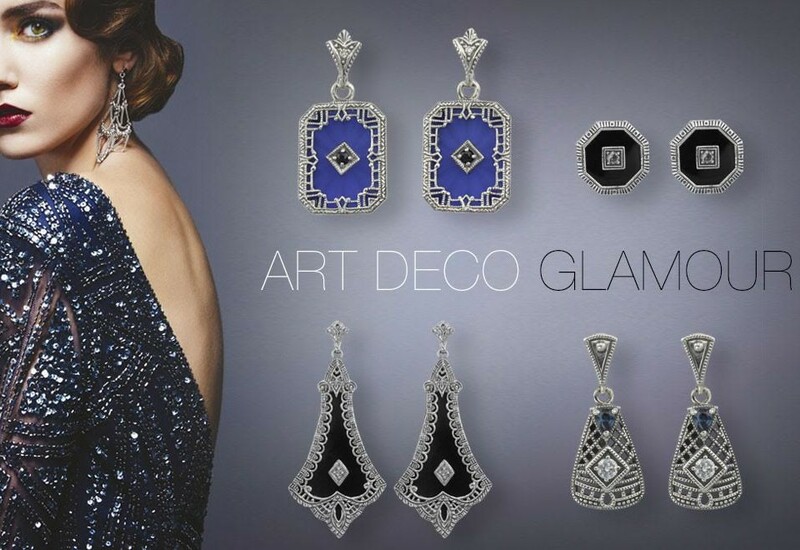 1 3/4 inches and measure 1/2 inches W. These earrings..
Sterling Silver Filigree Frosted Camphor Glass Crystal with Sunray / Starburst Pattern / Genuine Blue Sapphire / Diamond Art Deco Style Earrings. Thes.. This blue lapis filigree pendant is handcrafted in the vintage / Victorian style with intricate sterling silver detail. A sparkling diamond in the cen.. This lovely antique style silver bracelet features 2 Marquise cut genuine Blue Sapphires and 1 round brilliant single cut Diamond. Sapphire is the bir.. This Art Deco Style Black Onyx filigree pendant, with a floral motif, is handcrafted in vintage style with intricate sterling silver detail. The penda.. These Sterling Silver Black Onyx Filigree Earrings are handcrafted in a Antique Victorian Style and feature a delicate floral botanical motif. A match..